WHEN YOU NEED TO MASTER EVERY TASK. Efficiency and versatility with a fresh design look: Our new Profi series is capable of tackling industrial and forestry work. With the Profi in the horsepower category of 116-145 hp, a wide selection is available for you, with either 4 or 6-cylinder engines. Optimum variety combined here in a single series. The Profi models are equipped with more electronics, greater comfort and with the tried and tested Multicontroller armrest. Low noise emission level of 69 dB(A) to take the stress out of working with the Profi and Profi CVT. Eco mode: 40 km/h achieved at a fuel-efficient 1,750 rpm. Frequently, on the Profi CVT and Profi models, you can simply forget about recurrent processes. 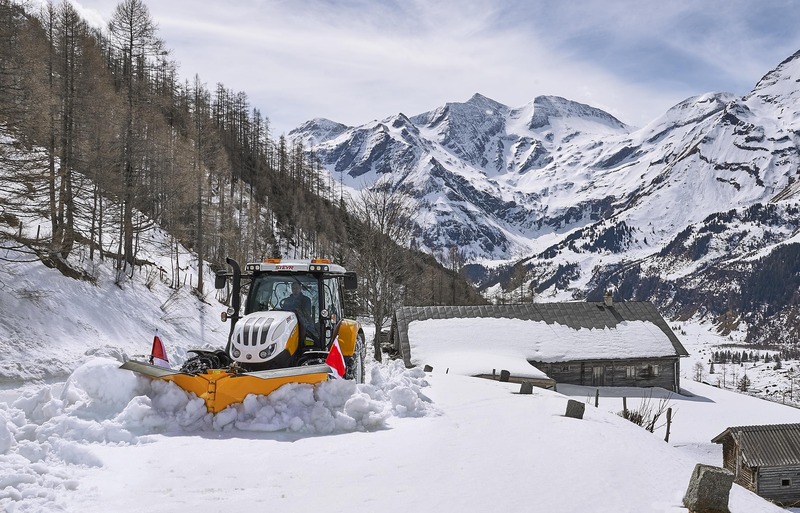 The on-board intelligence of the integrated automatic system takes care of all of that, greatly simplifying work and delivering even higher levels of productivity - no matter whether your tractor is engaged in winter work, road maintenance, heavy-duty transport or is operating a front loader. With the Profi CVT and Profi, every task can be completed more quickly and more simply than ever before. At the same time, both models deliver optimum safety and convenience. 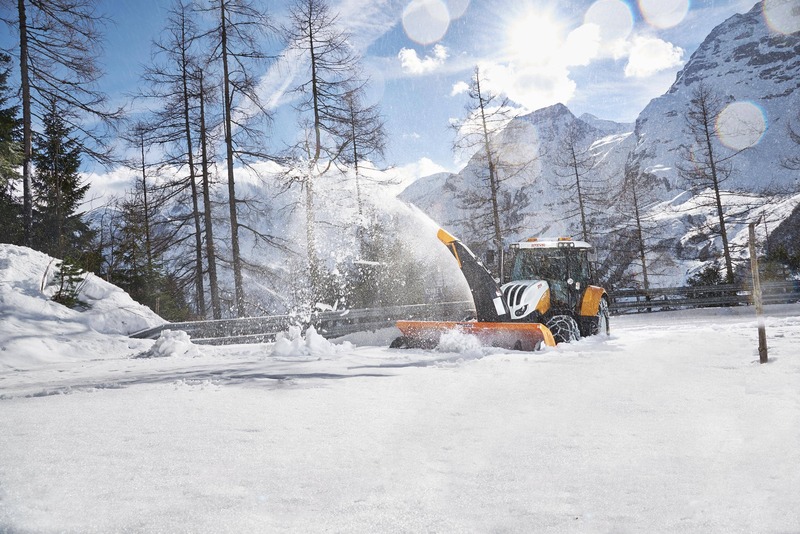 With the Comfort cab, the Profi series turns long operations into a pleasure. Regardless of the type of terrain and the kind of ground the Profi is driving across, the cab always provides optimum ride comfort and safety. It is accessible from both sides, and can be supplied with the low or high roof. It is also available with cab suspension. The S-ControlTM 8 transmission is used in Profi models: an 8-speed powershift transmission with a total of 24 gears both forward and reverse. 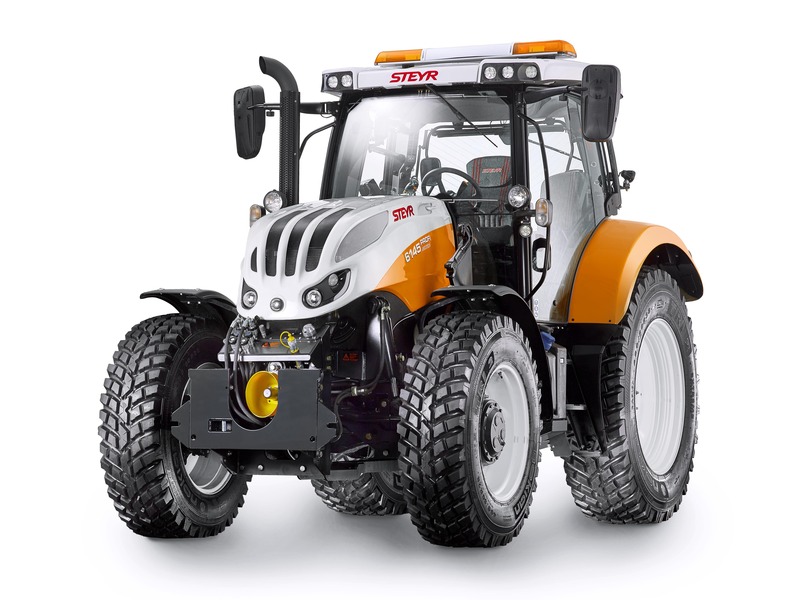 The transmission has a number of automatic functions that make the tractor more efficient and the driver more relaxed. 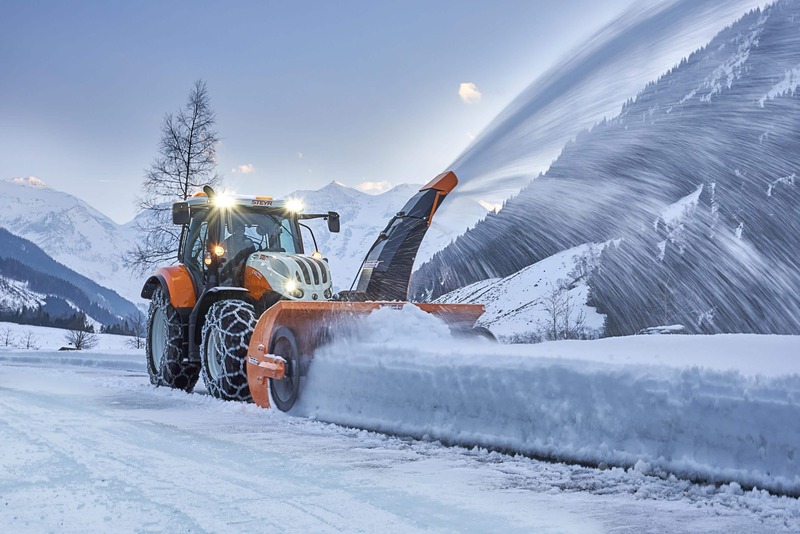 The hitch and the auxiliary control units on our STEYR Profi models are powered by an OCLS hydraulic system (open oil circuit) or by a CCLS hydraulic system (closed oil circuit) at a displacement rate up to 134 l/min. This system assures full performance at the right time and at the right place.